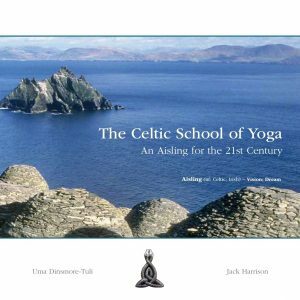 – What is the Celtic School of Yoga? -Introducing the Celtic School of Yoga including book launch. Followed by evening kirtan concert: Voicing the Song of the Breath with Jack Harrison. What is Celtic Yoga? An experiential session with movement, breath, sound and wild yoga nidra. Introducing the Rhythms of Power in the Celtic School of Yoga. Illustrated talk, yoga nidra, and voicing the song of the breath. The teachings of the Celtic School of Yoga are offered as a gift from the heart to the people of Ireland. The cost of hosting and organizing the event is shared between participants . Each person is also invited to make a gift from the heart for the value of the teaching.